Never leave family memories behind again! Use these growth charts to record the heights of your growing children or grandchildren. Hang the chart so the bottom edge is even with the floor. When you move or paint, just unhook the chart and then rehang. This is a beautiful, and durable handmade growth chart. It is made from 100% quality cotton fabrics and threads. It is meant to last! 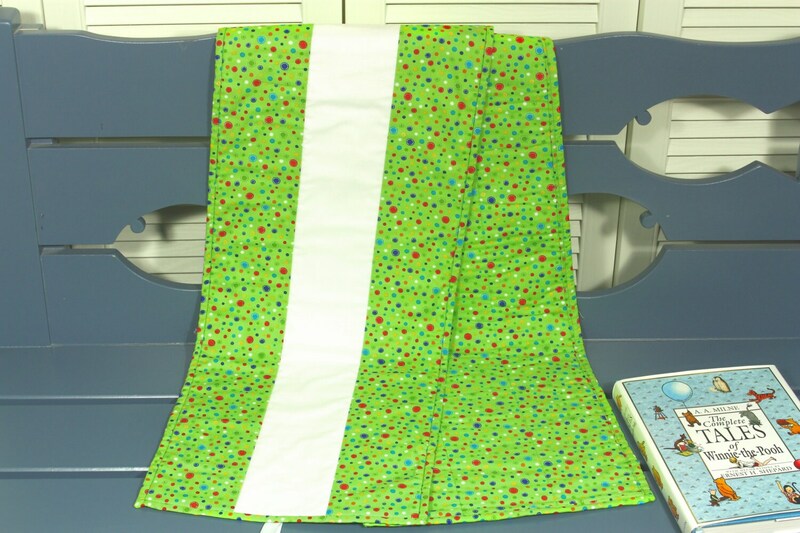 The growth chart is 6 ft. tall and 14" wide with a ribbon hanger. It is machine washable in cold water on a delicate cycle. Air or tumble dry on the lowest setting on your dryer. All of my growth charts are produced in a smoke free and pet free environment.